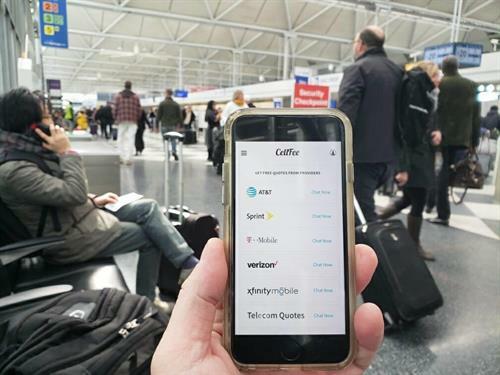 Cellfee is a free & convenient mobile app for comparing cellphone plans. A simple Chat-based solution to see pricing side by side plus the ability to ask any question you want of one or all of the major carriers. Is Netflix still offered for free? Find out with Cellfee. A more efficient, less confusing way to engage with the carriers while you are on the go. Businesses and IT Managers can submit a quote for various telecommunications services such as Cloud, Security, VPN and more. Chat Now. Easy for carriers, easy for you.